David Tennant is to stand down as Doctor Who, after becoming one of the most popular Time Lords in the history of the BBC science fiction show. 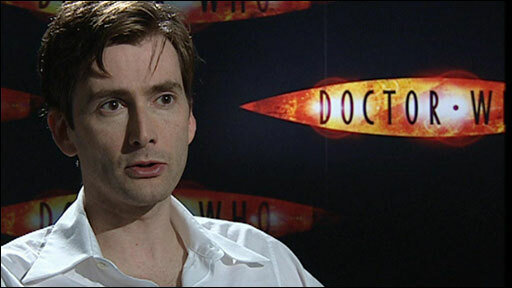 Tennant stepped into the Tardis in 2005, and will leave the role after four special episodes are broadcast next year. He made the announcement after winning the outstanding drama performance prize at the National Television Awards. "When Doctor Who returns in 2010 it won't be with me," he said. "Now don't make me cry," he added. "I love this part, and I love this show so much that if I don't take a deep breath and move on now I never will, and you'll be wheeling me out of the Tardis in my bath chair." Three years was "about the right time" to play the role, he told the BBC in an exclusive interview. "I think it's better to go when there's a chance that people might miss you, rather than to hang around and outstay your welcome," he said. His stint in the show had been "the most extraordinary time, it's been bewildering, life changing, very exciting", he said. "And just so much fun, such a great show to work on. "That's one of the reasons I think it's right to take a deep breath and bow out when it's still fun, when it's a novelty. "I don't ever want it to feel like a job, so I want to move on when it still feels exciting and fresh and that means I'll miss it." Tennant, the 10th actor to play the Doctor Who, left fans guessing about his return at the end of the latest series. In the last episode, in July, the Doctor had to defeat his enemies the Daleks to save the universe. Almost 10 million people watched as the Time Lord apparently started the process of regeneration - but did not complete it. Tennant will appear in a Christmas special, titled The Next Doctor, before filming four more specials in January. "They'll be the four last stories that I do," he said. In a sign of his popularity, he was voted best drama performer in a public vote at the National Television Awards. He has been named most popular actor at the same ceremony for the past two years. That prize has been discontinued this year. An average of 8.1 million people a week watched the latest series - the fourth since it made a comeback in 2005 - in its Saturday evening slot on BBC One. Russell T Davies, executive producer, said: "I've been lucky and honoured to work with David over the past few years - and it's not over yet, the Tenth Doctor still has five spectacular hours left! "After which, I might drop an anvil on his head. Or maybe a piano. A radioactive piano. But we're planning the most enormous and spectacular ending, so keep watching." Tennant replaced Christopher Eccleston, who resurrected the show after a 16-year break. 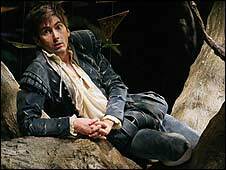 Tennant made his name in TV dramas such as Blackpool and Casanova. 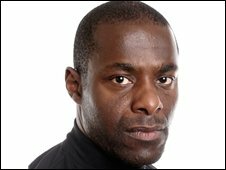 He started his career in theatre and in recent months has returned to the stage with well-received performances in Hamlet and Love's Labour's Lost for the Royal Shakespeare Company. In December last year, Tennant denied rumours that he was planning to quit after Catherine Tate - his new companion in the Tardis - told the Jonathan Ross radio show she thought the next series of Doctor Who would be Tennant's last. He said at the time: "Catherine Tate stitched me up good and proper. She goes on Jonathan Ross and makes up a load of old nonsense."